The previous installment[i] introduced the concept of hope as a key to managing grief and assisting the individual to move from ANGER into the BARGAINING stage. This segment will expand beyond the concepts discussed by Dr. Elisabeth Kubler-Ross in “On Death and Dying”. With her focus on terminally ill patients, she talks about “entering into some sort of an agreement which may postpone the inevitable”. [ii] She states that these “bargains” are generally made with their God and goe s on to give examples of mothers that want to live long enough to see their daughter married, or new grandchild born, etc. There is a further opportunity for those providing services for seniors who have already suffered losses. They may utilize the natural desire/need to bargain by presenting realistic options as positive alternatives for current or future residents. Success is achieved when the senior begins to approach each new day with HOPE for positive experiences instead of focusing only on their “losses”. We can’t replace their loss – DON’T TRY! Think of the parent who buys a new puppy to relieve their child’s sorrow over the death of a pet. The child may initially reject the new pet feeling that paying attention to the new puppy is disloyal to the memory of their “friend”. Ultimately, the child will learn to love the new pet – not as a replacement – but because of its own unique qualities. Don’t minimize the loss; no one else can determine the relative importance of a particular loss to the individual. How often have you heard someone say (well-meaning, of course), “Oh, it’s not that important; you’re spending too much time thinking about that”, etc.? Whether the senior lost a favorite piece of jewelry, a loved one, or the ability to drive their own car, that loss is real to them. BARGAIN = COMPROMISE. The secret is to demonstrate enough value to be gained by your proposal that will offset what the senior believes they are giving up. For instance, older adults who are asked to give up their personal residence will seldom see enough value to offset the loss of the home by simply emphasizing the “real estate” aspects of the senior living community. As Jason Popko observes: a HOUSE is an “object that can be bought and sold” while a HOME has “meaning and attachment to … personal living space” that can’t be “bought or sold”. The new building may even be better, safer, etc. than the original, but the individual won’t/can’t hear that at this stage. Smart marketers will focus on lifestyle, the benefits of socialization, interactive activity programs, etc. Don’t create false hopes with unrealistic expectations. It is tempting to make promises, especially when trying to convince a prospect to move in, but make sure you can deliver what you promise. Otherwise, the short-term gain will be far offset by the negative reputation that will be generated. Grieving is a complex emotional process, but don’t be afraid to try and help. Understand that it’s natural for the person to slip backwards into DENIAL and ANGER. Don’t take it personally. 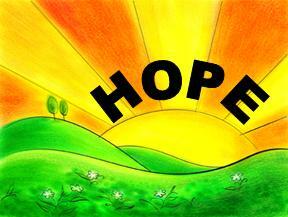 Remember that HOPE is the KEY and TRY AGAIN! Begin building relationships in the marketing process. Then draw upon the knowledge gained to generate attractive options as the resident experiences the inevitable losses that come with aging. The ability to convey compassion, show support, communicate an understanding of the grief process and present creative options will facilitate move-ins and reduce move-outs. ALWAYS, treat the senior with dignity and respect and don’t insult their intelligence. There is a tendency by some in the industry to “talk down” to the residents and treat them somewhat like children: “Now, honey, you don’t want to do that…” Respect their ability to understand the significance of their loss and the value of the proposed alternatives. CASE STUDY: Jim lost his wife Tammy a little over a year ago. He has been in declining health for a number of years with deteriorating eyesight (in fact, he is “legally” blind), but his wife had always promised him that she would take care of him and that he would never have to go into a nursing home. Jim was a successful sales executive who used to be the “life of the party”, was active in his church, and attended all his college’s home games. Due to his eyesight, he had to forgo these activities and retrofitted his 2-story colonial with a first floor bedroom. Jim’s son Dale and his family moved in to take care of Jim. But, both Dale and his wife work and Jim is often left at home with little to do all day. Jim’s upset because Tammy often sat and had an afternoon “toddy” with him, but now everyone seems to have their own priorities with little time for him. Some days Jim tries to do the things he “used to do”; this often causes additional problems (e.g. he fell and broke several lamps). Other days, he is angry with the grandchildren for being too loud, leaving their “stuff” in the way, etc. He is frustrated because he no longer seems in control of his “own home”. Dale has come to you for help. He has confided that several other communities stated that Jim seems like too much of a problem and they either want too much money for “specialized care” or said they aren’t interested in him as a potential resident; one even suggested that Dale contact a nursing home. Please CLICK HERE to post your comments and suggestions. What Does the Future Hold for the Senior Living Industry? Dust off the crystal ball, get out the Ouija board and tarot cards, and check with your swami! There are signs that we are coming out of the recession, so will the senior living industry quickly rebound and get back on track? After all, the “graying of America” is no secret. The Administration on Aging[i] reports that the number of “older Americans” (i.e. over 65) grew by 4.5 million to 38.9M in the 10 years ending in 2008 and are expected to increase to 55 million by 2020. The 85+ population will increase by 43% to 6.6M from 2000 to 2020 and will just begin to include the “bobby-sox generation (born from 1935 – 1945) with NO baby-boomers in that statistic. So, won’t that create a “rising tide that floats all boats”? OR, are there other forces at work that will have a profound and long-lasting impact on the industry? Have these forces been gathering strength behind the scenes while the industry accepted blanket excuses for census declines because of the real estate problems and loss of portfolio values? Perhaps, now is the time to learn some lessons from the Long Term Care Industry. The 1980’s were “heady” days for that segment of the senior care spectrum. Each year, more facilities and beds were added and the financial markets were happy to fund the growth and consolidation of the industry. They read the statistics at the time and KNEW that the demand would continue unabated “for our lifetime”. Beverly Enterprises was the clear growth leader after securing the first public equity funding in 10 years in 1980. This and other financings fueled their growth from 100 facilities in 1980 to almost 1200 by the end of the decade. Hillhaven and others soon followed suit. So, what happened? Why did Beverly shrink to less than 300 buildings? Why has the total number of SNF beds and facilities been decreasing each year (to only 16,000 facilities today)? Why didn’t the demographics continue to drive the growth of the nursing homes? Obviously, there is no one universal answer to these questions. Changes in the hospital payment system clearly had an impact on the type of patients being discharged into the SNFs. Meanwhile, the intermediate care (“walking wounded”) residents, and especially the private pay, disappeared from the nursing homes. WHY? Because of the rapid development of alternative services for these individuals: ASSISTED LIVING, INDEPENDENT LIVING and HOME HEALTH. Americans continue to live longer and the number of older Americans has continued to increase. The difference is that they no longer have to look only at nursing homes as their source for elder care and support. The introduction of these other alternatives caused a major and permanent shift in the elder care paradigm. TODAY’S SENIOR LIVING COMMUNITIES FACE THE SAME TYPE OF CHALLENGE AS THE NURSING HOME OPERATORS IN THE 1990’s. With the poor economy, it has been very easy to bury our head in the sand and assume that “I’m not ready yet!” is a subtle excuse for the prospect’s inability to afford the services at this time. Although this may be true, it’s also likely that newer generations of prospective residents are less willing to compromise with lifestyle choices than their older siblings and/or parents. Currently, many assisted living facilities have minimized their census drop by focusing on potential residents with heavy care (and/or memory care) needs. This has been a decent short-term solution to the economic downturn, but parallels the nursing home industry’s gravitation towards heavier, skilled and even sub-acute care. While they focused on moving those types of patients in the front door, the lighter care residents were going out the back door and into the new assisted living communities 10 years ago. WE MUST OPEN OUR EYES AND RECOGNIZE THE THREAT OF THE AGING-IN-PLACE PHENOMENA! Otherwise, assisted living will simply become “junior” nursing homes and independent living will struggle to find suitable residents. As ALFs become more like nursing homes, with heavier and heavier care residents, the probability of increased government oversight and regulatory requirements increases. When that happens, the flexibility to run the buildings with a consumer driven approach will decrease as the cost of care goes up. Not a pleasant forecast! Will the government step in and dictate changes to the industry as they’ve repeatedly done for nursing home residents? For instance, while many senior living communities still require all residents to dress for breakfast and be in the dining room at 8am sharp, the new MDS 3.0 being implemented October 1, 2010 for nursing homes requires that residents be allowed preferences for time to awaken, etc. We need to learn from the nursing homes’ history where the population that was financially able to pay privately for their services “voted with their feet” as new alternatives evolved. This group told nursing home operators that their physical plants, care options and lifestyles did not meet their demands. Are prospective residents telling senior living communities the same thing today? To counteract the aging-in-place THREAT, operators need to re-evaluate every aspect of their services to determine ways to add greater value to their prospective residents. Future residents are likely to want more options and choices, with fewer rules and restrictions. Socialization and lifestyle enhancements (probably more than upgrading the appearance of the building) need to be strong marketing points. Incorporating some of the “stay-at-home” technology into the senior community may be advisable. Let Progressive Retirement Lifestyles help you with this evaluation process and turn the aging-in-place challenge into an opportunity. Call Art at 615-414-5217 to discuss the creation of unique outreach programs that provide services to and generate revenues from your prospects who aren’t “ready yet”. [i] “A Profile of Older Americans: 2009” published by the Department of Health & Human Services’ Administration on Aging. CLICK HERE for link. [ii] For example, see Tessa ten Tuscher’s Investor Presentation for Living Well Assisted Living at Home on SlideShare on LinkedIN. This became a philosophy of aging for 20th Century generations. The senior living / care industry offered protective living environments to meet the expectations of these generations as they aged with increasing physical and/or mental frailties. BUT the 21st Century is a different world and the bobby-soxers (born 1935 – 1945) and baby-boomers won’t be satisfied to simply fade into the sunsetas their parents and grandparents did. They won’t “go gentle into that good night” and the senior living industry must evolve to meet the increased demands of these future generations. Today’s senior living communities were designed to provide care and services for “The Greatest Generation” and/or their parents. These individuals lived through the Great Depression and were molded by the experiences of World War II. They worked hard and made a better life for their children who often became the first in their family to attend college. Frequently, they worked for the same companies their entire career and were rewarded with generous retirement packages, including lifetime health benefits. Others built their own businesses, anticipating that their children would join and then succeed them in operating the company. In either scenario, the parents were expected to retire with their productivity and significant contributions to society at an end. You’ve done enough. Just sit back and let us take care of you. Medicare and related programs in the mid-1960’s created the funding for the development of modern health services to “insure” adequate care for these elderly. Nursing homes and home health evolved from cottage businesses into professionally managed multi-million dollar industries. Assisted living, independent living and investor owned CCRC’s developed to supplement non-profit (primarily church-related) life care communities and traditional “old folks” homes. Operators built self-contained communities and assured residents that all their needs could be handled within these enclaves. Food and shelter, security and transportation for essentials such as doctor appointments were provided. 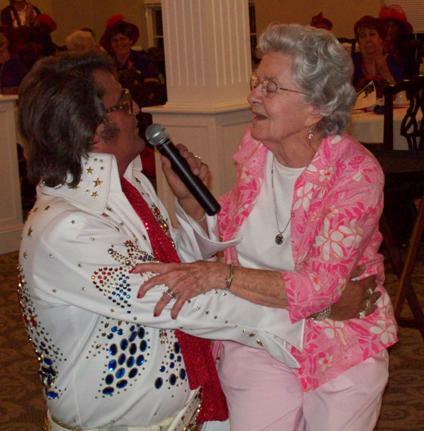 Activity programs were scheduled to entertain and fill the residents’ days. Today, prospective residents are told that their worries will be over if they agree to move-in and pay an all-inclusive fee. Concerns about meals, cleaning and maintaining the house and yard, or paying insurance and utilities, etc. are eliminated. Depending on the type of facility, care needs may be provided directly by facility staff or arranged with private caregivers / home health companies. This chart demonstrates the loss of independence and increasing dependence on caregivers as the senior progresses through varying levels of care. For individuals who experienced the shortages and deprivations of the Depression and World War II, the value equation was fairly simple. They understood that the move to a senior living community was a compromise as their health and support needs increased. They were used to adapting so giving up some independence to receive service was an acceptable alternative and they were willing to live with restrictions such as standard meals at set times. However, these generations are dwindling – e.g. World War II veterans are dying at the rate of 1000 per day. The replacement generations do not appear as willing to accept this one-size-fits-all-mentality. The industry has seen quarterly declines in average occupancy for more than 2 years with blame placed largely on the economy and specifically the real estate market. It’s time for a wake-up call if the industry wants to rebound from this census slump. Another hidden (or ignored) factor is the “changing of the guard” with new demand models and demographics for today’s aging population. At some stage in the aging process, however, staying at home may NOT be the best option. Health and care needs, financial considerations, safety concerns, marital situation, housing condition, proximity of family members and the availability of caregivers and other components of a strong support system are factors that will impact this evaluation. Yet, many senior specialists note that the elderly will often stay in their own home until a “crisis” arises. 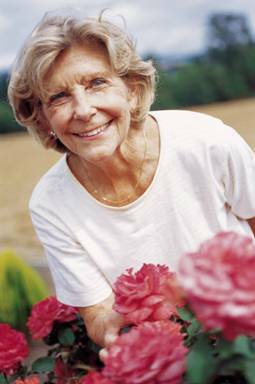 As a result, the senior is often “placed” in a higher level-of-care than required, with an unneeded loss of independence. This is obviously not the best for the resident. Could a senior living community do something differently to encourage the individual to move in earlier? First, recognize that today’s aging population demands more than three meals a day and the “3-B’s activity program” – i.e. bingo, bible and birthdays. They are not willing to retire their egos when they stop working. They desire many more active and productive years with the ability to control their own destiny. Focus on lifestyle vs real estate. A HOUSE is an “object that can be bought and sold” while a HOME has “meaning and attachment to … personal living space” that can’t be “bought or sold”. It takes more than living in a Taj Mahal to generate enough value to prompt a move-in. Apply a scientific approach to the structure and organization of daily activities for the residents. Utilize Maslow’s theory and healthy aging concepts to challenge the residents to continue to age gracefully, achieve new successes and “CREATE PRECIOUS MEMORIES”. Treat the residents with dignity and respect by developing imaginative programs that stimulate and challenge their mind, body and spirit, going beyond the kindergarten style Summer Camp for Seniors or cruise ship mentality. Become familiar with the research about the negative impact isolation has on aging and couple this with Maslow’s need for socialization to develop a powerful marketing tool – offering a SOLUTION for potential residents and, especially, their adult children. Revise marketing strategies to include education about your scientific approach and other 21st Century initiatives. Use these to differentiate your community from the competition, AND eliminate prior perceptions. Maslow refers to these as “basic” needs in his Hierarchy of Needs. Select “Maslow” in the CATEGORIES drop-down box to access additional articles dealing with differing levels of needs. “Facilities offer convenience and care” by Jessica Bliss, 12/27/2009. Click on this link to review comments posted in the Senior Care Services Companies group on LinkedIN. By Ellen Brandt, Ph.D., August 1, 2009 on the Ellen Interactive blog. They became a prospect when they demonstrated interest in the senior living community. Although you may not know their particular “need”, BUILDING A RELATIONSHIP will move towards an ultimate move-in. Most aging adults are constantly dealing with some form of loss. A move-in will occur when the senior perceives more value in the lifestyle offered by the community than in their existing situation. This process takes time. Previously, it took 8 – 9 prospects per unit to fill an independent living community. With today’s economy, those numbers have almost doubled to 15+ per unit. By maintaining communication and social interaction, management may help the person move beyond the denial stage. Dr. Kubler-Ross states that people may be selective in choosing which individuals to whom they communicate feelings of denial. In practice, they may be more open to discussing future plans with the manager/marketer than with their own family members. The first step in recognizing the denial stage is on-going conversation to learn what losses the senior has experienced (See Part 1 for examples). This requires an investment of personal time and energy in each relationship – it won’t happen by simply inviting prospects to Special Events and/or calling every 6 months. The marketing strategy for this stage is DON’T PUSH! Long term success is more likely by simply “making a friend”, being positive and understanding that it’s part of the process if your overtures are initially rejected. Be subtle when communicating the benefits of your community. In time, these may be seen as positive alternatives to the prospect’s current situation and help in their acceptance of their loss – but it can’t be forced! Liz’s CASE STUDY will help illustrate these points: She is 85 years old and a widow for 5 years. She now lives alone with her cat in her home of 20 years. Liz is in reasonably good health but suffers from arthritis with several knee and shoulder surgeries in the past few years. She has limited mobility, using a cane for walking any distance. She continues to drive (around town only) and remains active with her church. Anne, Liz’s adult daughter, recently stopped by and expressed concern about her mother’s ability to keep up with her house. Although Liz has a cleaning lady, a lawn service and a handyman when needed, Anne is concerned that the house and yard are more than “Mom” can handle. Liz has great friends that help out but they are getting older and have their own health issues. Anne explained that she works and lives out-of-state. She is finding it increasing difficult to visit and help with things around the house. Liz has been upset because she wasn’t able to put up her Christmas tree. Unlike past years, Anne was unable to visit and handle it this year. So now, Anne has come to you for help – what do you do? Obviously, the first step is to meet Liz. Since this is apparently her daughter’s idea, you can expect some resistance. A traditional way to become acquainted with Liz is by inviting her to a Special Event, but a more intimate approach may be to invite Anne and her mother for a personal visit, including a meal and/or participation in a planned group activity. The objective of this first meeting should be to initiate a relationship. During that process, you will identify various walls that Liz has erected as reasons why she can’t move in. Some of these barriers are a result of the DENIAL of her current situation, while others are related to pre-conceived notions about senior living communities. These apprehensions may be caused by outdated perceptions of “old-folks” homes or past experience with other levels of care such as nursing homes. You will need to overcome these barriers, but in the initial stage, it is best to simply educate the prospective resident and her family. Speak of your efforts to PROMOTE INDEPENDENCE, insure privacy and treat all residents with dignity and respect. Focus on what the resident “can do” vs the “cannots”. Utilize the information you’ve gathered to address specifics (e.g. Liz’s pet cat) before they become issues. Make a follow-up in-home visit with Liz after Anne has departed. Liz will probably be feeling a little lonely and welcome the visit, which should generate a wealth of information about her current situation. Finally, here’s a word of caution. It is very tempting to “gang-up” with Anne and coerce Liz into a premature move-in. Yes, this might assuage Anne’s guilt feelings, but remember that the customer is Liz – not her daughter. She won’t become a happy and satisfied resident until she moves past denial. NOTE: An extreme or extended denial phase must be treated by professionals. “How long can an organization postpone renovation/rehab and not risk losing move-ins?” asks the ALFA Case Study: “When Looks Really Matter”. In response, there is no universal right answer, as each company and its situation are different. Factors that may influence management’s reaction to occupancy challenges include the type of business (i.e. acute hospital, SNF, ALF, IL, etc. ), type of clientele, level of competition, census level / amount of decline, and the organization’s overall financial condition. As a former CFO, I understand that the company must live within its means and that there are often financing considerations behind decisions and timetables for rehabbing a building. But, unlike a hospital or nursing home where admissions are driven by need and paid by third parties, independent and assisted living communities have a greater requirement in maintaining their properties to remain competitive and continue to attract private pay clientele. SHOULD MANAGEMENT CUT OR SPEND? Traditionally, organizations tend to do nothing extraordinary for a 1–2 % change in census, but cut costs and eliminate expenditures as occupancy drops 5–10 points. Then when the occupancy decline hits 10 points, management panics and starts spending more money, bringing in outside sales/marketers and doing more advertising, special events, etc. At 12 – 15 points, they call out the National Guard! So, why wait for it to become a crisis before responding? No matter the state of the economy, if the census drops, management should do something POSITIVE for the community instead of cutting costs. Create value-added services to increase the satisfaction of existing residents and marketability for potential residents. In the private pay world, you must overcome inertia to obtain a move-in and CUTTING COSTS IS NEVER THE ANSWER! Many organizations schedule total renovations for their properties on an 8-12 year cycle. This process generally includes an updated color scheme with new upholstery/furniture and furnishings in the building core and other common areas. A conventional approach in difficult times is to delay these major expenditures until a) the census improves or b) the economy turns around. The problem with this strategy is that the appearance of the building may be a CONTRIBUTING FACTOR to its census challenges, so management must look at each situation individually. For instance, a well-maintained building with consistent local management might require a rehab for only cosmetic purposes and could likely postpone its renovation without adverse consequences. On the other hand, a property that clearly shows wear and tear – regardless of age – needs attention NOW! Executive management must convey support for the marketing efforts of the local management team. In addition, efforts to instill “pride of ownership” in the local staff will be negatively impacted if it appears that management doesn’t care how the place looks. This will only make the wear and tear cycle worse in the future. Yet, in this economy, financial limitations are a reality. No one expects everything to be fixed at once, but the key is to DO SOMETHING! Additionally, PLANNING, PRIORITIZATION and COMMUNICATION are essential for successfully managing renovations. So, suspend the traditional cyclical renovation program and focus on extending the life of the existing color schemes with repairs and partial replacements. At the same time, communicate to all properties and the residents in each of those communities that there is a plan and assure them that their concerns will be addressed in due course. The key is to do a little something for everyone so that the management and residents of the “good” buildings are recognized and shown appreciation for their efforts in maintaining the property. You don’t have to spend a lot of money to do this. We promoted a lot of goodwill in a turnaround situation by throwing away a couple of rickety park benches and spending about $500 to replace them with rockers for the front porch. In another situation, we simply re-arranged the lobby furniture to create several conversation groupings in a less formal setting. Roger Bernier, the President and COO of Chelsea Senior Living states in the ALFA Case Study: “Our buildings are our single most important marketing tools …” and he makes a compelling argument for maintaining a community in good repair, even in hard economic times. However, a superior building may not be enough to stimulate new move-ins. Psychologist Abraham Maslow teaches that physical and security are the basic needs for all individuals and most senior living communities focus on meeting these needs. But, the real potential is in helping the retired adult achieve social, ego and self-actualization goals, which Maslow identifies as higher level needs. If management shifts its focus to providing a fulfilling lifestyle for their existing residents and then highlighting these activities and services in their marketing efforts, they will find their clientele to be much more accepting of a little normal wear and tear. Lastly, having worked for both large and small enterprises, I understand the substantial price breaks from group purchasing that Todd Kaestner (Brookdale Senior Living) discusses in the case study. But, to think outside of the box, the operator may get a better return on their investment by purchasing locally! Yes, I know it will likely cost more, BUT . . . you are only doing partial renovations and any exposure within the local community is good and provides inexpensive advertising. A local owner-operator to whom you bring business (and even the local trades-people that do the work) can be turned into exceptional referral sources to “spread the word” as they visit your property and observe the level and quality of service you provide. The fact that the company is putting money back into the community – especially in “tough times” – will produce positive public relations on MAIN STREET……one of your targeted markets. Again, these suggestions won’t work for everyone, but hopefully they’ll make you consider new options and maybe come up with even better ways to respond to the economy. Please contact me via email at art@progressiveretirement.com or phone at 615-414-5217 to learn more about the types of value-added services that can be provided and how Progressive Retirement Lifestyles could help you with today’s challenges. “A house built on sand will not stand”. Similarly, a marketing campaign must be built on a solid foundation of satisfied residents to be successful. Management’s efficiency is often measured on its ability to turn its resources into assets. The existing residents, who I often present as “our most precious resources” when conducting training sessions, are a great resource for the senior living industry Successful senior living centers go to great lengths to ensure that, like the country’s natural resources, these assets are protected and nurtured, and not allowed to become a liability when marketing the project. Every available means must be utilized to attract prospective residents and convince them to move in, especially in these challenging times. The existing residents can become the best marketers for the community, but first a solid foundation of resident satisfaction and support must be built. Word-of-mouth is still the best advertising for the senior living business. A customer who has a good experience will tell 3 people; BUT will tell 10 people if their experience was bad! And then those 10 people will tell 10 people, etc. etc. Therefore, the first step is to make sure that the resident experience is perceived positively by those living in the community and that it adds positive value to their lives. So, what can we do to insure that our residents are reporting positive experiences to their family and friends? My most successful properties – those that ran consistently at 100% occupancy – were those in which the managers became extended family for the residents. I would tell new manager applicants during the recruiting process that there were just two basic rules regarding the treatment of residents: 1) always treat them with the utmost dignity and respect, and 2) treat them as you would treat your own mother or grandmother. Dignity and respect are terms that are used in various settings across the spectrum of senior living and health care, including the confidentiality of medical information under HIPAA (Health Insurance Portability and Accountability Act) and proper handling of the notorious medical gown. I have added the term UTMOST to encourage management and staff to think first and foremost of the resident’s dignity in their actions every day and actively demonstrate an appreciation and respect for the accomplishments that each resident has made in their life prior to coming to live in the senior community. Recognizing and treating each resident as an individual and not as a group demonstrates this attitude of utmost dignity and respect. Otherwise, there is a tendency to fall into the trap of “us” (e.g. staff and management) versus “them”. The prior management at one independent living property had been so unresponsive that the residents had banded together to form their own independent committee as a means to getting their concerns heard and/or addressed. This committee had elected officials and held formalized meetings, with published minutes, in which management was not allowed to attend or participate, unless specifically invited by the residents. Prior management had allowed the equivalent of a “Resident Union” to be formed. It was tempting to simply refuse to recognize this committee, but I decided that a) that was a battle I couldn’t win and b) that if I did “win”, I would do so by taking away some perceived rights, independence and the respect that the elected officials had with their peers. I decided to use a sales approach in meeting this challenge instead of trying to dictate behavior to the residents. We made it a priority each day to recognize and be more responsive to the individual needs and desires of each resident and made a conscientious effort to deal with each of them as an individual. Most importantly, we demonstrated respect by communicating our plan, vision and proposed changes / improvements to the residents on a regular basis. Then, we began to find solutions to their concerns, solved some long-standing problems and invested a few dollars for new activities and a few amenities to their environment. We took the initiative to make changes without waiting for a complaint / suggestion from the residents. We were successful in quickly turning around a negative situation by treating the residents with dignity and respect. The President of the committee, after 2 – 3 weeks of this new focus, said that he felt that our new management team really cared for the residents, that he supported what we were trying to do and suggested that he disband the committee. In exchange, I presented the concept of shared responsibility for the smooth-running of the building; replacing the “union” with a management-led resident meeting, 2-way dialogue and a cooperative effort between management and residents to solve common problems. This allowed a forum for the residents to express their opinions and concerns (thus having some input and control of their own destiny), BUT management remained in control of the process. A number of key residents volunteered to help in marketing the property as a result of these endeavors. How many times have you heard the expression that we revert to childhood in our “old age”? The sad fact is that too often management tends to treat their “charges” as though they were children, with senior centers run like child care centers with a lot of rules, limitations, etc. This can become demeaning and demoralizing for a senior resident as they struggle to deal with the loss of their independence. These residents, unlike children, have been accustomed to making decisions for themselves (and often for others through their positions of responsibility) all of their adult lives. Therefore, PROMOTING INDEPENDENCE is another important ingredient to gaining the support of the residents for community marketing efforts. This is the mortar that holds the foundation of resident satisfaction together. A dynamic activity program that identifies and helps residents meet their needs and fulfill their life’s desires is an essential key to achieving these objectives and creating value for the residents. Activities should be considered as a marketing investment; not merely as a necessary cost – as filler for the day. In summary, if the residents are treated as individuals, with the utmost dignity and respect and their efforts to maintain their independence in all phases of their life are promoted, a strong foundation of resident satisfaction will be built and the residents will become friends who will be happy to help market the project.